Our mission at Home Care Assistance is to change the way the world ages. We provide older adults with quality care that enables them to live happier, healthier lives at home. Our services are distinguished by the caliber of our caregivers, the responsiveness of our staff and our expertise in Live-In care. We embrace a positive, balanced approach to aging centered on the evolving needs of older adults . • Live-In Experts. 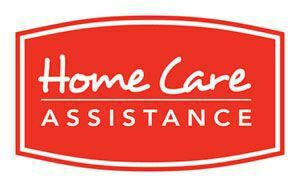 We specialize in around the clock care to help seniors live well at home. • Available 24/7. Care managers are on call for clients and their families, even during nights and weekends. Our Mission • High Caliber Caregivers. We hire only 1 in 25 applicants and provide ongoing training and supervision. • Balanced Care. Our unique approach to care promotes healthy mind, body and spirit. • No Long Term Contracts. Use our services only as long as you`re 100% satisfied.